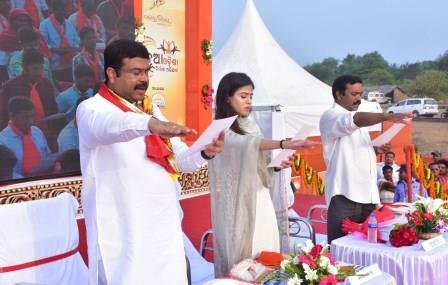 Konark: Union Petroleum Minister Dharmendra Pradhan inaugurated ‘Nua Odisha Nirmana Abhijan’ on the occasion of Utkal Dibasa at Chandrabhaga sea beach in Puri on Sunday. The event was organized under the banner of Prachi Trust, a social organization. 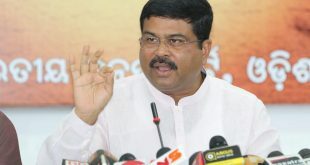 Addressing thousands of youth, Pradhan urged the people of Odisha to work for the development of the state. The Union Minister said that once the BJP comes to power in the state, the youth would not have to move out in search of jobs. “There are 42 lakh people in Odisha. They have to go out of the state in search of jobs for their livelihood. 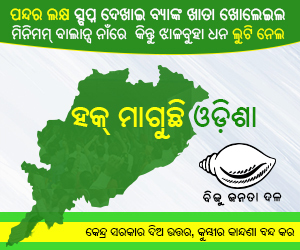 It is time for formation of Nua Odisha for the development of the state,” Pradhan said. 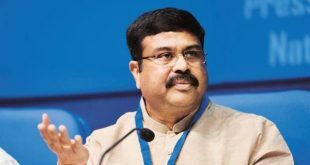 Pradhan said that apart from feeling proud for the glorious history of Odisha, future generation should come forward to make our state a prosperous state of the country. 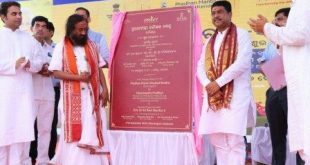 The Minister also cited burning examples on how Odia community have come forward to fight for their own state and the vital role played by many odias at different times.